We have been certified FSSC 22000. Only a few companies in Wine factory are certified FSSC 22000 in JAPAN, we are the one of a few! It certifies that we are the company reliable for food safety management. 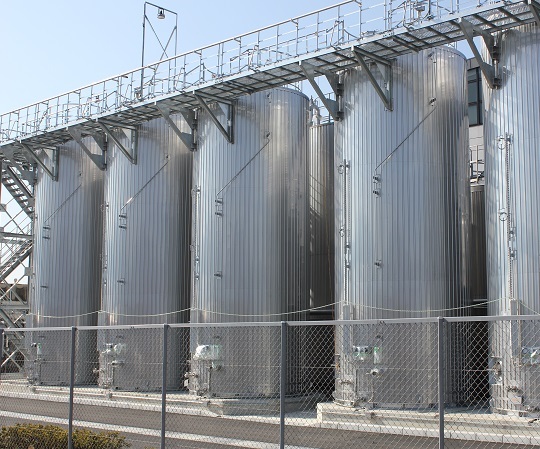 We have tanks with thermal management, which ensures your wine in good condition after arrival. What's FSSC 22000 (Food Safety System Certificate 22000)? It is a food safety management certification, which enables manufacturers to focus their food safety efforts on scientific and technical advances, and their audit resources on continuous improvement.